Did you know that you could fill all of your Saturdays every month with FREE activities for kids? There are lots of ways to keep busy and have fun all without paying one penny! On the first Saturday of every month, the Park City Library (1255 Park Avenue, near Main Street) shows free screenings of kids movies that have been adapted from books. We went to see “Fantastic Mr. Fox” (a Roald Dahl book) a couple months ago. The UMOCA downtown (previously known to me as the Salt Lake Art Center, where I used to volunteer in high school) has Family Art Saturdays on every 2nd Saturday of the month from 2-4pm. We went last month and did a stamping/sticker-making project and toured the exhibitions. 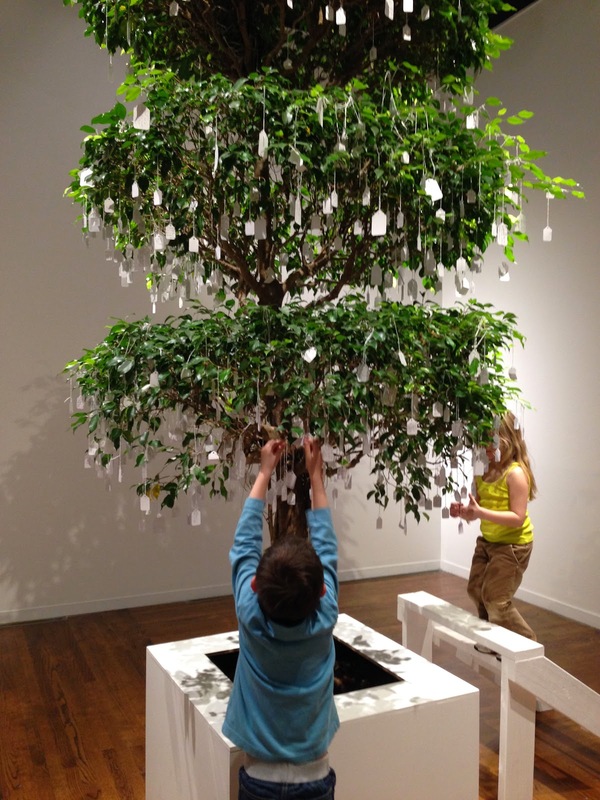 Theo placing a wish on Yoko Ono’s WISH TREE. 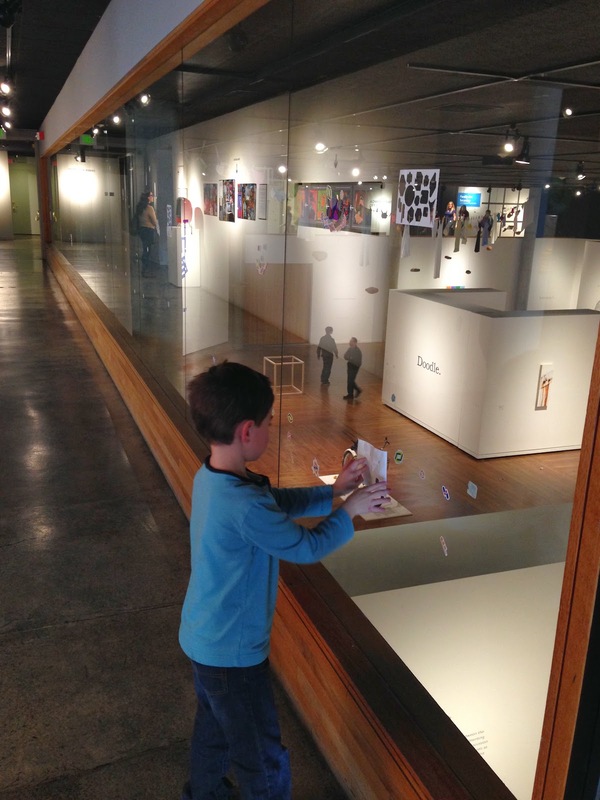 Placing stickers all over the museum, as part of Family Art Saturday. I’ve written about the UMFA on here a couple times before but wanted to mention again that every 3rd Saturday of the month from 1-4pm they have free admission and kids crafts, that coincide with a current exhibition. I’ve previously written on here about the kids cooking classes available at Williams-Sonoma, which run weekly on Saturday mornings. Also check the Utah Film Center’s schedule for their year-round Tumbleweeds screenings around the state which are always free.